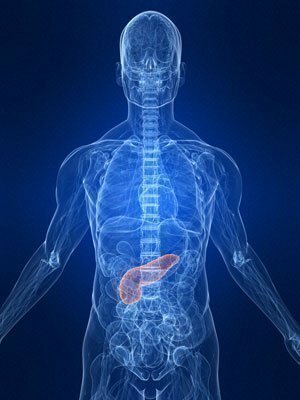 Pancreas is an important organ in the endocrine and digestive system because it produces different important hormones like glucagon, insulin and somatostatin. In addition to these hormones, it is also responsible for the production of exocrine gland and excretion of pancreatic juice, which contains enzymes that are significant to digestion. 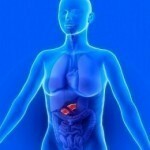 Pain in the pancreas is a symptom of disorders or illnesses in the organ. In order to determine the real cause of the problem, patients should undergo diagnostic tests and medical procedures. As soon as the cause is identified, patients are recommended to take medicines or undergo long-term and invasive treatments. To know if the condition is chronic or acute, patients should be able to identify the symptoms that indicate minor illnesses or serious disorders. If the pain is mild and dull, patients should observe how frequent the pain occurs. In addition, it is important that they schedule an appointment with their physicians. On the other hand, if they frequently experience stabbing, sharp, severe and shooting pain in the upper part of the abdomen where the pancreas is located, it is necessary that they seek immediate help from physicians since it can be caused by serious diseases. Pancreas pain can be caused by various illnesses in the digestive system such as exocrine pancreatic insufficiency, cystic fibrosis and pseudocysts. Other possible causes of this condition are diabetes mellitus, Zollinger-Ellison syndrome and hemosuccus pancreaticus. Additionally, annular pancreas, pancreas divisum, neoplasms as well as acute and chronic pancreatitis also cause recurrent ache in the pancreas. To identify the cause of the problem, physicians examine if the upper abdomen is tender and if the patients looks weak. After examining the patient, health professionals assess if the pancreas enzymes in the blood are increased. Other diagnostic tests that they can perform to know the real cause of this medical condition are abdominal computed tomography exam and ultrasound or sound wave test. At the onset of the symptom, patients are advised to fast, however, it is necessary that they do this under the supervision of their physicians. To prevent them from becoming dehydrated, physicians allow them to drink clear fluids. If the symptom is acute, then medical doctors can prescribe antibiotics and other medicines that patients should take. Practicing a healthy diet is also important to relieve the pain. In chronic cases, patients should undergo surgical procedures to remove gallstones or tumors.